Are your kayaks lying around taking up space, underfoot? Store your kayaks properly to keep them in tip-top shape. 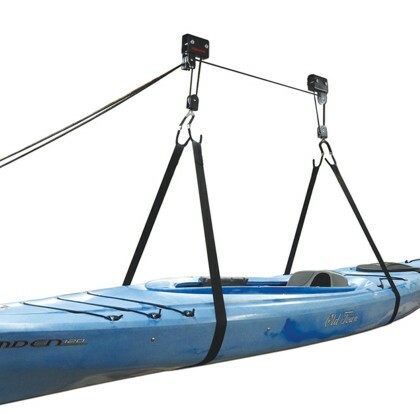 Check out our kayak wall racks and install one on your wall today! Security a concern? Lock your kayak! Use racks and locks for both sit-in and sit on kayaks. See the related article Storing Your Kayak. See our Sit-in-side Gear department for cockpit covers. Stow your kayak gear neatly too! see our Gear Bag Dept.